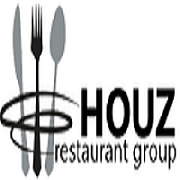 The Housler restaurant group has been family owned and operated since 1989. Growing from our original restaurant on West Main in Kalamazoo, MI, we now operate 11 locations in Michigan; 7 Main St. Pubs, 2 Fletcher’s Pub, University Roadhouse, and The Old Goat Tavern. Since the beginning our focus has been customer service; we want you to feel like family. Our low prices and wide variety will bring you in. Our great food, friendly, fun environment and focus on customer service will bring you back. Each Location offers something for everyone. Look for one in your neighborhood!